Solid Heavy Duty, long lasting shop tables for any welding application. If you are looking for a solid heavy duty shop table, look no further. 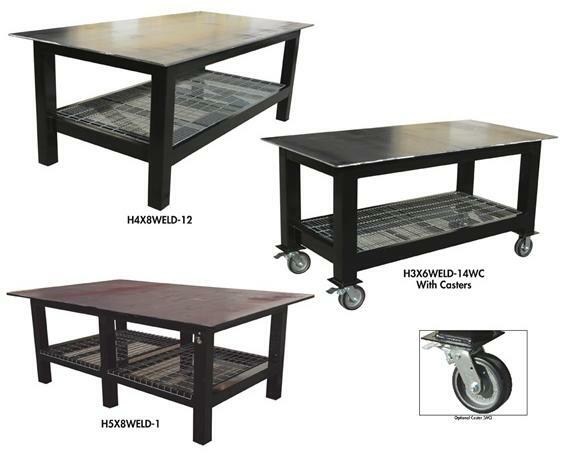 These Ultimate Welding Tables offer 1/4", 3/8", 1/2", 3/4", and 1" plate steel tops. 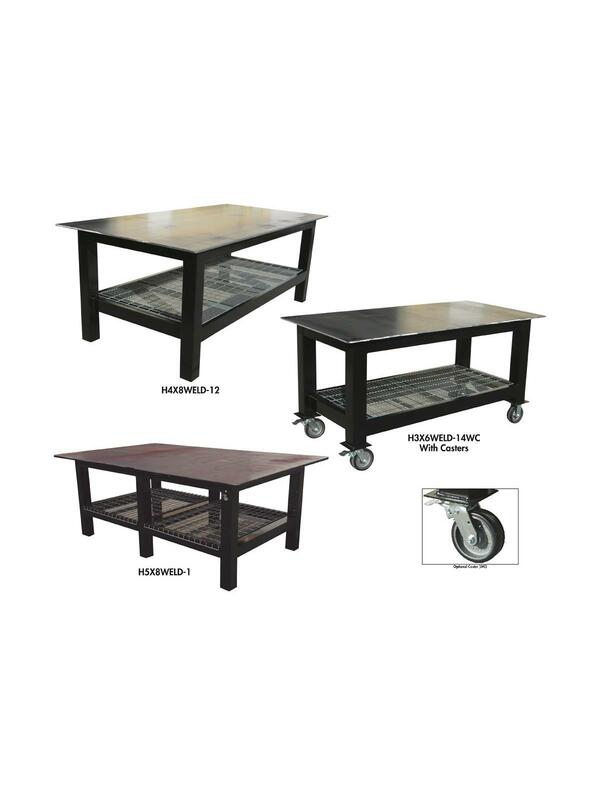 Each table offers all-welded construction and is built to 36" overall working height. The unpainted top is ideal for welding applications. Each table is built using 4 x 4" 11 ga. legs and features a bottom shelf with wire decking. All tables are powder coated black. Additional powder coated colors available -- call for pricing. FOB Shipping Point. See Related Items tab for Ultimate Welding Tables - Drawer Unit. 72 x 36 x 36"72 36 36"